9ct yellow gold Sapphire stud earrings. Set in a classic four claw setting with 5mm width. A gift she'll treasure. 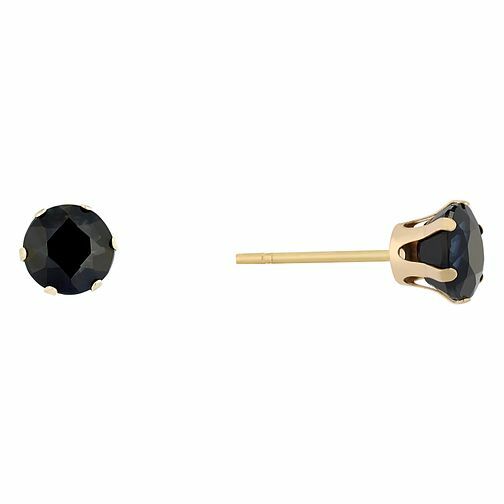 9ct Yellow Gold Sapphire Stud Earrings is rated 4.1 out of 5 by 12. Rated 4 out of 5 by Anonymous from It is a good product in the price range. A very good and delicate product. The frame of the ear studs is very delicate and needs to be handled with care. Rated 4 out of 5 by Anonymous from Perfect for a September birthday Reasonably priced sapphire earrings, that look great.